Among the 325 million people living in the rural regions of eastern India, it is estimated that 80% have no access to drinking water. Despite growing initiatives to supply clean water using single water systems within communities, the majority of companies have high set-up costs. This means that eastern India’s population, the majority of which lives in small villages comprising 200-300 households, does not have access to these types of water treatment stations. 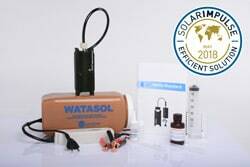 Our partner Development Alternatives (DA) created a social enterprise selling chlorine in shanty towns in 2009, which by March 2014 had expanded into a company that produces its own chlorine flasks. They now distribute these bottles under the brand name AQUA+ to several social partners across a variety of regions in India. 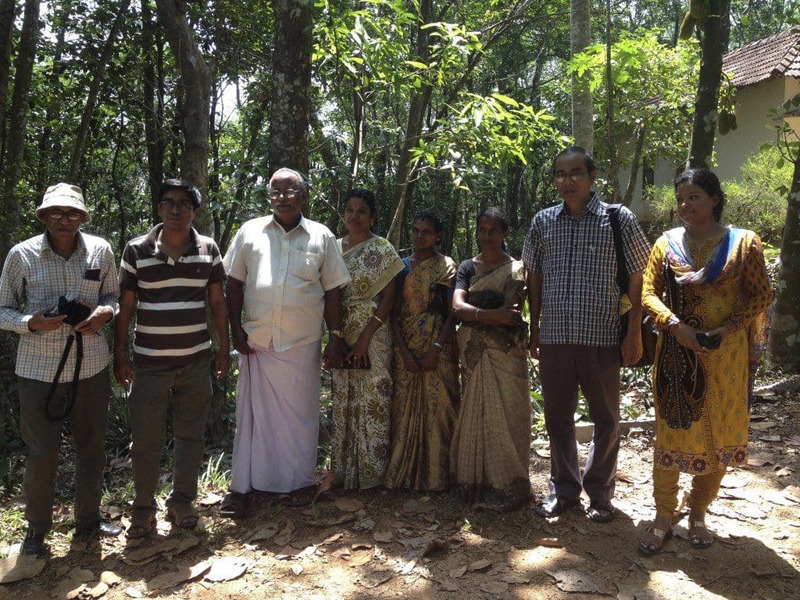 With an initial pilot project that began in Kerala, DA has developed its business know-how and techniques in stabilised chlorine production. Perhaps more importantly, they have also found solutions to deliver chlorine to the most under-privileged households (through door-to-door selling), by working with local health activists (e.g. Asha Workers). This project was supported by a campaign to raise awareness among communities, as well as a partnership with the university to warn the population of the dangers of untreated water. 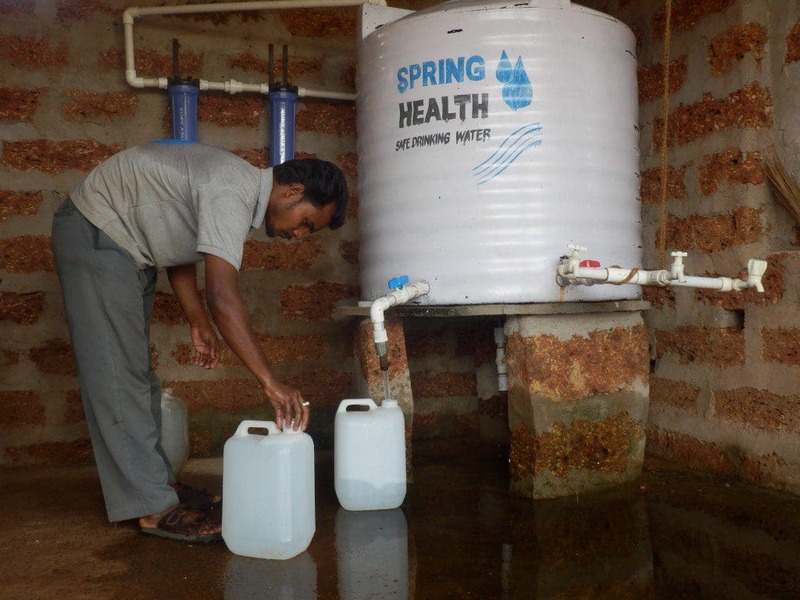 Our partner Spring Health sells 10-litre containers of drinking water from kiosks in north-eastern India, in the Orissa region. The company, which began its activities in April 2013, aims to operate from 10,000 kiosks and reach five million people by 2020, thanks to its unique model for low-cost water distribution. Spring Health installs a water purification system in each village and a local social entrepreneur manages the unit, which pumps, filters and disinfects the water before it is distributed. The company produces the required amount of chlorine using WATA, which allows them to produce it locally. Bacteriological tests are also carried out so as to perpetuate a change in behaviour towards consuming only treated drinking water. After a year of activity, the firm now operates in over 270 villages and provides drinking water to 180,000 people every day. Spring Health has optimised its business model by adding an essential factor to increase its profit: home water delivery.